For a split second, I thought I saw something in the window on the second floor. Suddenly a gust of wind blew my hair in my face, and I couldn’t see. I pulled my hair away from my eyes, and that’s when I saw it. I froze. I couldn’t move. I was afraid, but yet I was fascinated. I took a couple of steps closer, so I could get a better look. It looked like a girl standing in the window, but not a real one. It was a misty white cloud in the shape of a girl. I stared at the window, then suddenly the misty white girl looked real, and she was staring right at me. I gasped. I couldn’t look away, I don’t know why. I just kept staring at her, and she kept staring at me. Then she put her index finger to her mouth, like she didn’t want me to tell anyone. I shivered. The hair on the back of my neck was standing up, and I could feel goose bumps all over my body. 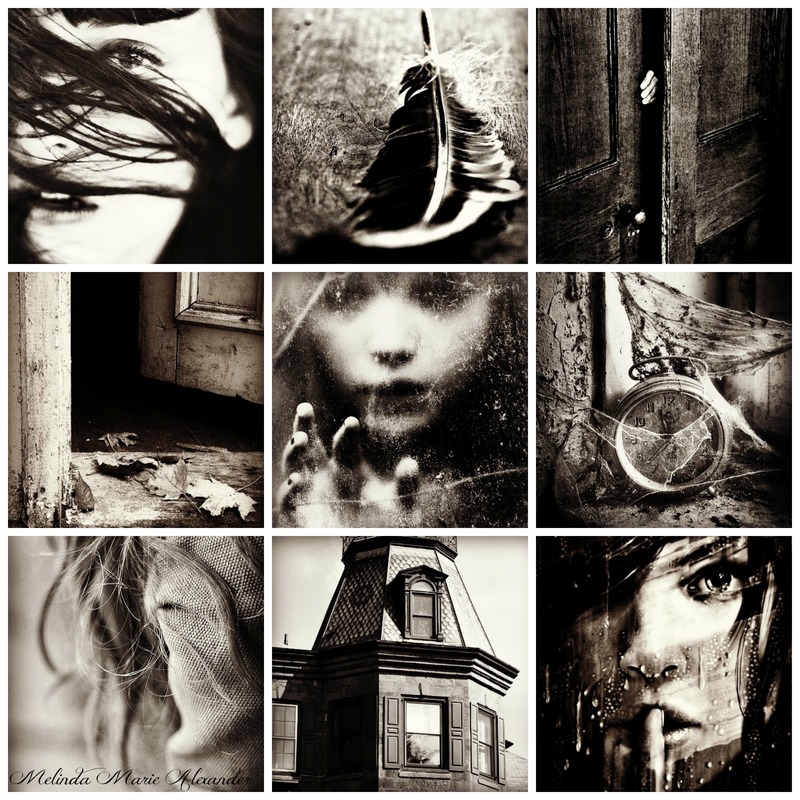 This entry was posted in Uncategorized and tagged #amwriting, action, adventure, author, blogging, Blogging From A to Z April 2015 Challenge, book, chapter six, character, Characters, facebook, fiction, ghost story, ghosts, goose bumps, images, Inspiration Boards, Melinda Marie Alexander, MG book, MG fiction, mystery, paranormal, photography, photos, Pinterest, Raven Hill, scary, sneak peek, suspense, thriller, twitter, wordpress, writer, writing on May 17, 2015 by melindamariealexander.